Ontario Provincial Police say the man whose murder charge was stayed in January after he spent more than four years in solitary confinement is now facing a new charge. Adam Capay was arrested on Friday after an incident in Lac Seul. Ont., about 600 kilometres from Thunder Bay, around March 5, said sergeant Mike Golding, the OPP’s media relations and community safety coordinator for the northwest region. He is charged with sexual assault with a weapon. Capay was originally arrested by the Lac Seul Police Service in connection with one of the Lac Seul force’s investigations, Golding said. While in custody, he was rearrested the same day by OPP in connection with the sexual assault investigation. Capay appeared in court over the weekend and was remanded in custody, Golding said. He was due to appear in court again Monday in Sioux Lookout. 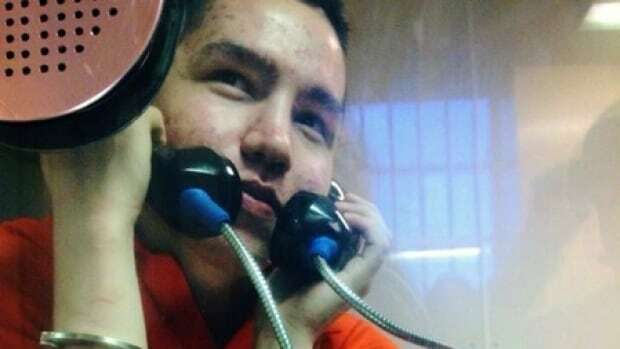 Capay was charged with first-degree murder in 2012 in connection with the death of another inmate at the Thunder Bay Correctional Centre. His case rose to prominence in 2016 when Ontario Human Rights chief commissioner Renu Mandhane toured the Thunder Bay District Jail in early October of that year. Mandhane reported that Capay had been held in solitary confinement in a windowless room for more than four years, spending 24 hours a day in artificial light. Ontario Superior Court Justice John Fregeau stayed Capay’s murder charge on Jan. 28, saying his treatment violated several of his constitutional rights — including his rights to life, liberty and security of the person; the right not to be arbitrarily detained; the right not to be subjected to cruel and unusual punishment; and the right to be equal before and under the law.